Some of the anti-fluoridation propaganda can get pretty extreme. Even the less extreme material is often misleading. I have collected below links to my articles where I debunk these myths and expose the misinformation. For a shorter list organied by category go to Fluoridation. The last graphic is pretty funny when you think about it. Most are repetitions of previous points, re-worded. 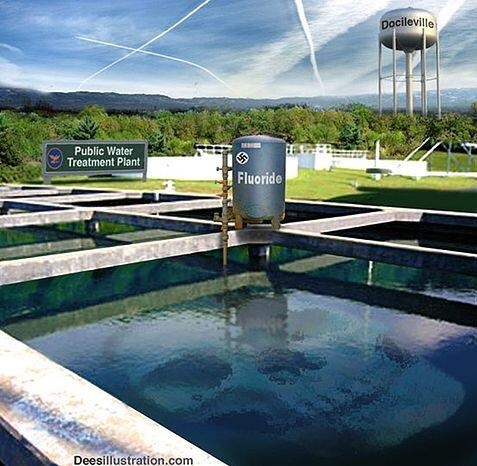 And the call fluoridated people the stupid ones! I’ll link to this page tomorrow. Pingback: The appeal to common sense – garbage in the guise of gumption | Science or not? O just wonder where Ken gets his salary from. No need to wonder, Sandra – just ask. Or look at the About Me page. Who pays you, by the way?